is an 1880's large steam engine train (gas powered) with 4 beautifully designed cars (1 Coal Tender, 2 Passenger Cars, and 1 Caboose). 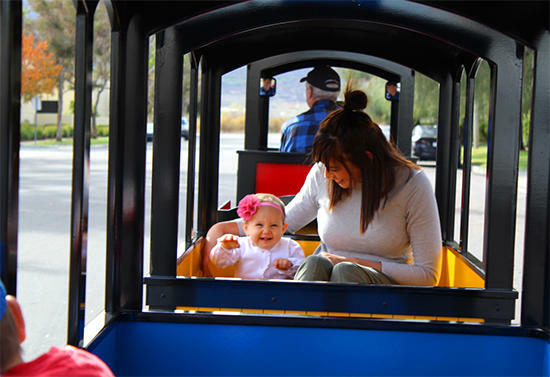 The train is designed for both adults and children and can seat up to 20 people total. 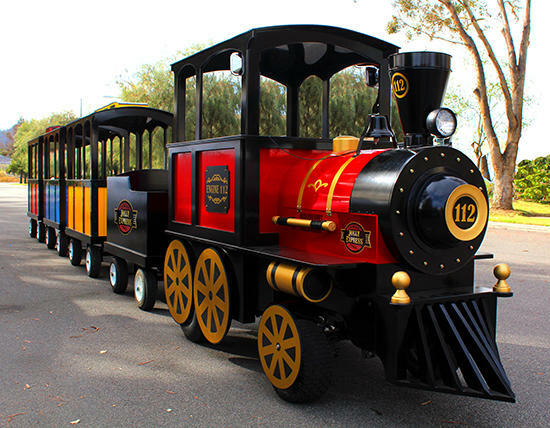 Our Jolly Express experience includes the Train Engineer, themed music and sounds, real train bell and smoke from train engine.